Why is one chocolate bar better then an other? 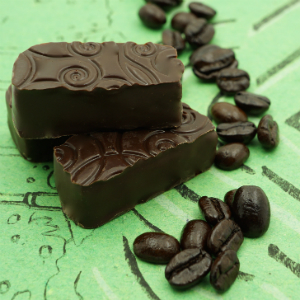 What is the difference between our childhood Hershey’s, and a fine artisanal bean-to-bar chocolate? Just like your favorite wine, coffee or tea, cacao flavors vary depending on cacao bean variety, terroir, production methods, and growing conditions. It may seem excessive or needless to try and notice these flavor nuances: Isn’t all chocolate delicious? However, we promise that even a quick round of comparison tasting will develop your sensitivity to the complexity and diversity of chocolate and leave you with an entirely new conception of chocolate. Maya can arrange custom tastings for you and your friends at her shop & Chocolate Lounge or at private gathering in your home. 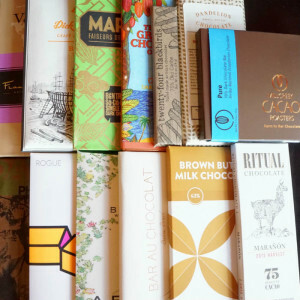 Her tastings feature single origin chocolate bars from around the world as well as her own luscious creations. Tastings are fun, delicious, and a lovely way to expand your appreciation for the many layers and variety of flavor in pure chocolate. Learn more about the mysterious and complex life of chocolate—from pod to bean to exquisite truffle. At your request, an evening’s entertainment can include Maya’s cacao plantation slide show and a sample taste of cacao beans or cocoa liquor. Farm worker conditions and fair treatment play an important part in the purchase of all of Maya’s chocolate: Maya will talk about how the cacao beans are grown, processed, and share her experiences visiting plantations from around the world. Sit down in our beautiful lounge, relax, enjoy, and savor a tasting any time you like. Check out our Tasting Menu!